Callisto - 1.49 Round Brilliant, 14k White Gold - Size 7.25 was added to your cart. One of our top picks in our ornate engagement ring collection, the Callisto's glamour meets the practical ease of a low profile in this dazzling ring! 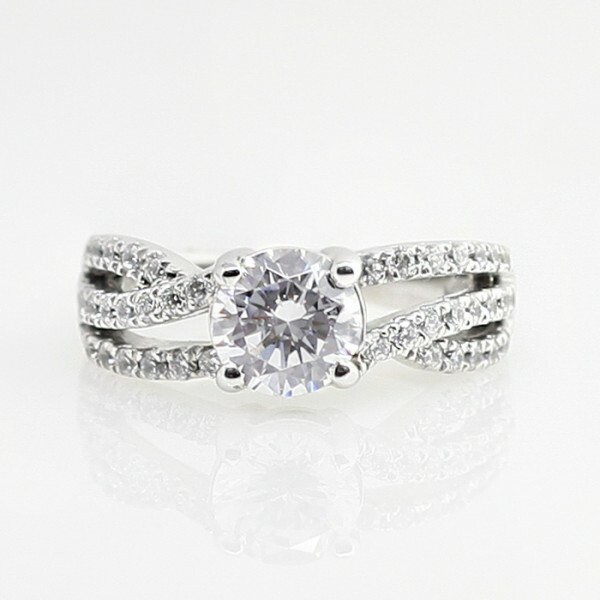 The swirl of its triple-stranded band set with forty accents offers a unique twist on a newly popularized ring style, while a larger Round Brilliant Nexus Diamond in a four-prong basket setting creates a classic centerpiece. Center stone pictured: 1.49 carat Round Brilliant cut Nexus Diamond, 2.09 total carat weight.